This morning, at 6:30am, I sat bolt upright in bed, eyes wide in wild terror. "My GOD," I thought. "It's Bread Baking Saturday and my honey is completely crystallized!" Crystalized honey is going to do nothing to help yeast activate for a whole wheat bread recipe. 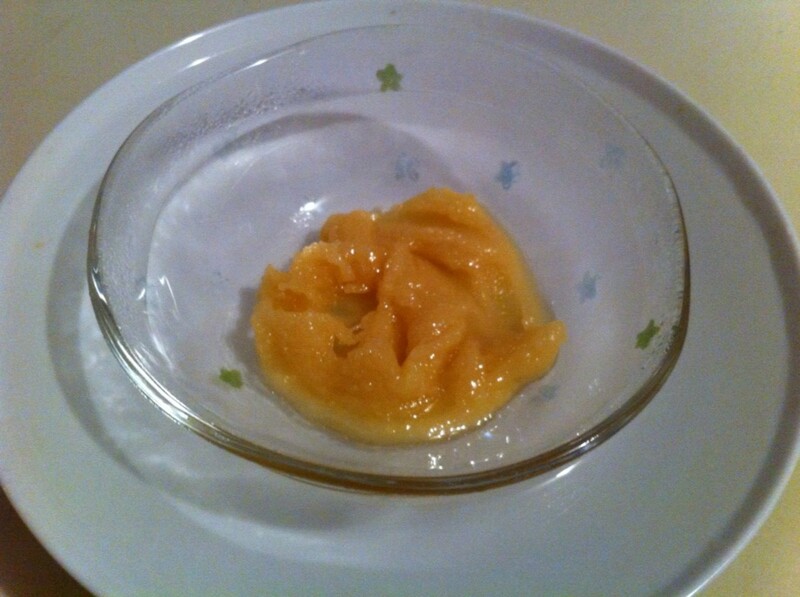 I needed to decrystallize my honey, and I needed to decrystallize it fast. I ain't no fancy pants aristocrat, hence my honey comes in a cheap plastic container, which would NOT do well in simmering water OR the microwave (it's a bad idea to microwave plastic containers unless they're BPA-free and specially designated as microwave-safe). 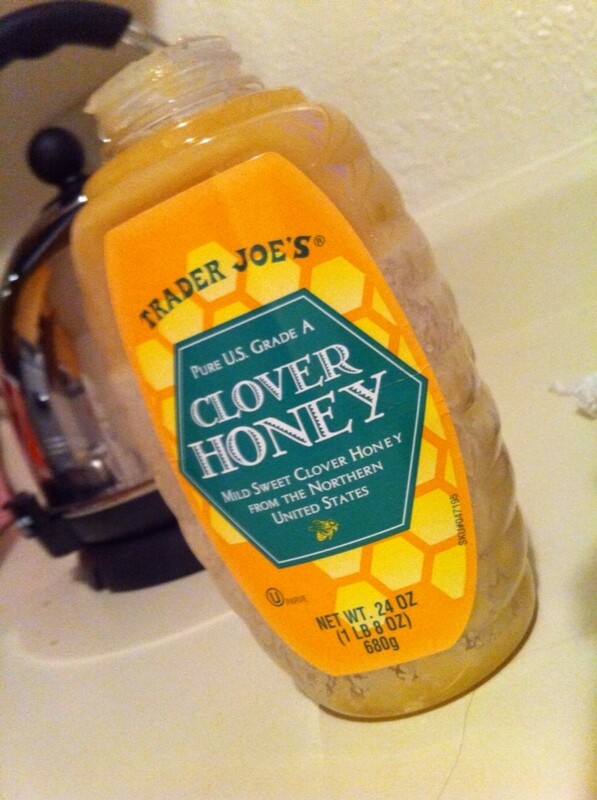 Even if my honey were in a glass jar, I would not want to wait around while I heated the whole thing. 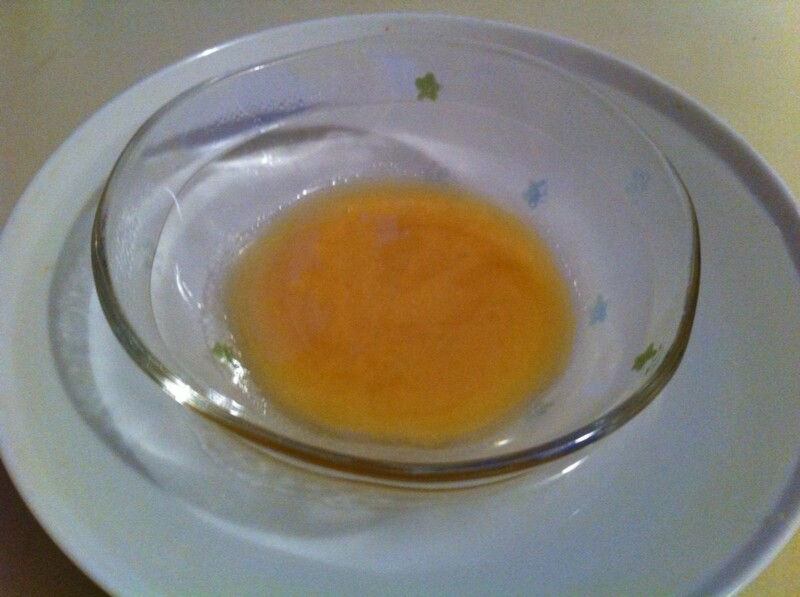 I only needed to decrystallize a small dab of honey (43 grams, to be precise) for my bread recipe. Why decrystallize the whole dang thing? And hence, I resorted to a method of my own invention to get my loaf started promptly and successfully. One might adopt the same approach by placing the honey in a glass bowl over a small pan of simmering water, but my electric kettle boils water so quickly, this was faster. 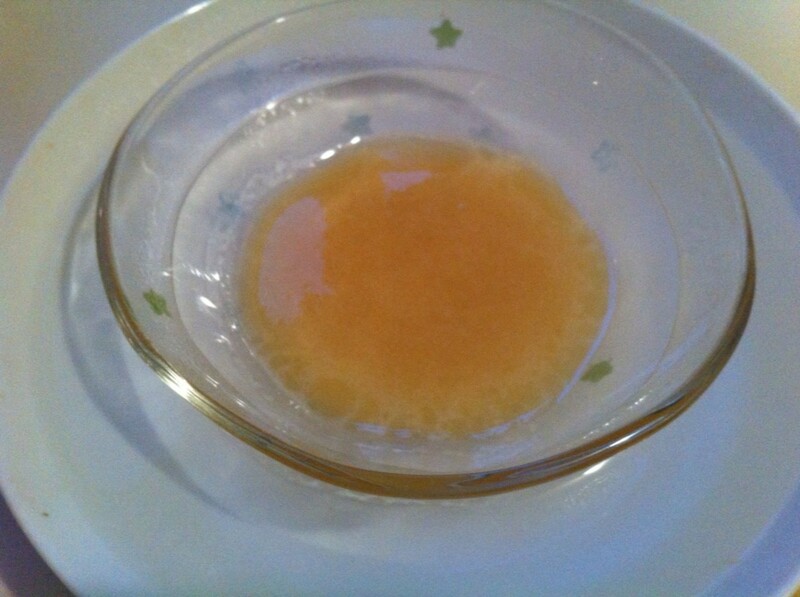 Within five minutes, my honey was smooth and ready to go, and I had much less of a struggle pouring it than I would have even if it were in its normal, original state. Watch that honey decrystallize! YAY! Within seconds, you can see the honey begin to soften. Keep changing out the hot water to keep the progress up. If you get impatient, perhaps a bit of mixing will help! Oh look! Nice, clear edges! How do you de-crystallize your honey? I microwave it in the jar! Be careful about putting what may be a cool jar into very hot water. It might crack if there is too large of a temperature differential, so consider leaving the jar in the pan as you bring the water to a simmer. You might also consider putting the jar in just-simmered water to avoid the shock of very different temperatures. 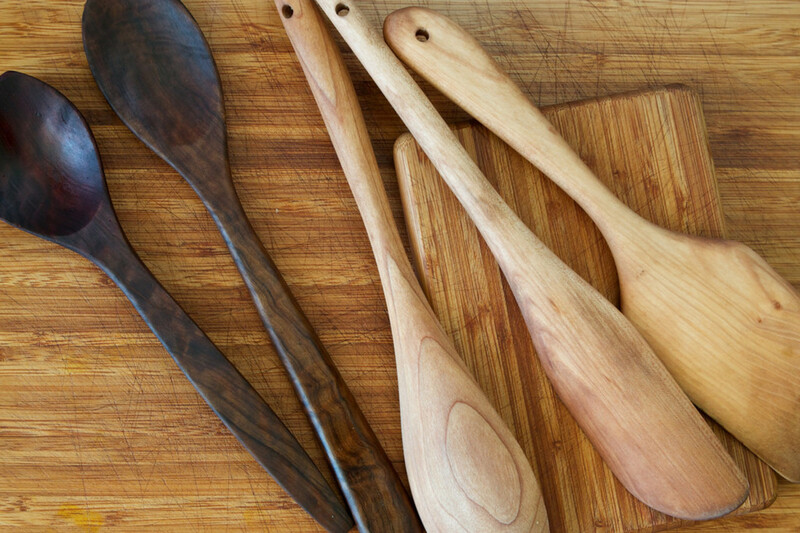 Do not put a plastic bottle in a pan of simmering water or the microwave. 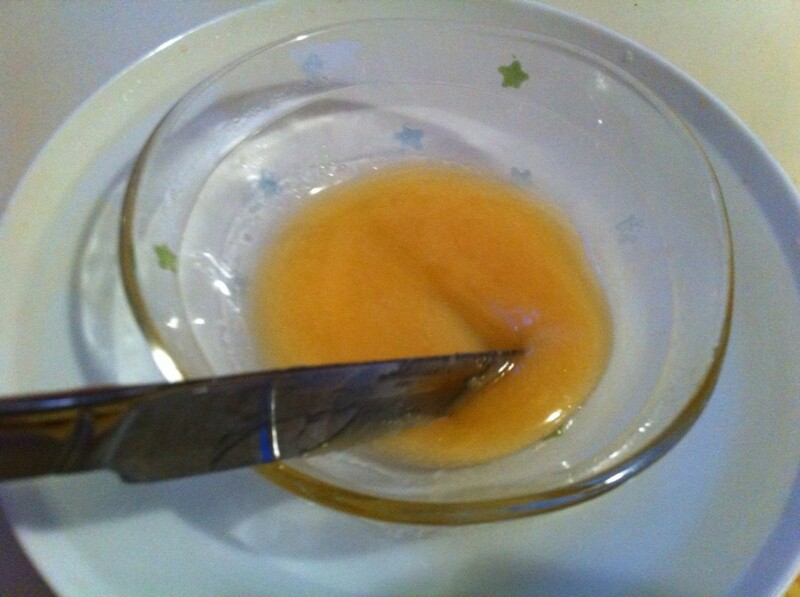 If you microwave your honey to revive it, lower the power intensity, and microwave for only seconds at a time, checking between increments. If you would like to decrystallize a small amount, but don't have hot water on hand, put it in a microwave-safe bowl and microwave it at reduced power for 5-10 second increments until malleable. If you want to de-crystallize an entire jar but don't have a stove handy, place the jar in a deep bowl and pour hot water from an electric kettle into the bowl. No, honey does not go bad. Many people suffer from a common misconception that crystallized honey has somehow 'gone bad'. This could not be further from the case! In fact, some honeys which have been treated (by being heated to 180 degrees and passed through a very fine filter) to not crystallize as easily are missing out on a lot of enzymes and pollen particles that bring better flavors and smells to honey. So if you honey crystallizes, you should take it as a good sign! 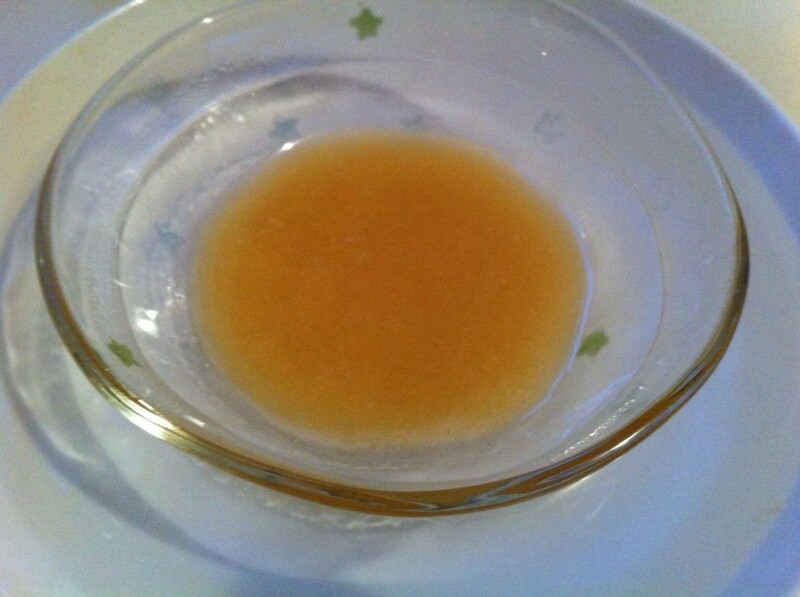 Honey naturally crystallizes. In fact, honeybees keep their hives pretty warm (around 93 degrees) to keep their honey nice and liquid. When left to cool, honey crystallizes (which means that seed crystals within the honey, which are small pieces of crystal, sort of help the cold honey form into a crystal lattice around them). The temperature at which this happens will vary depending on the seed crystals in the honey (it may crystallize if temperatures dip below 70 degrees, even! ), though the crystallizing tipping point typically ranges from 40-45 degrees (which is around what my apartment gets to when I decide to add some Dikensian flare by leaving my wall heater off on winter days. Something I adversely enjoy). Crystallized honey is by no means 'worse' than more viscous honey. 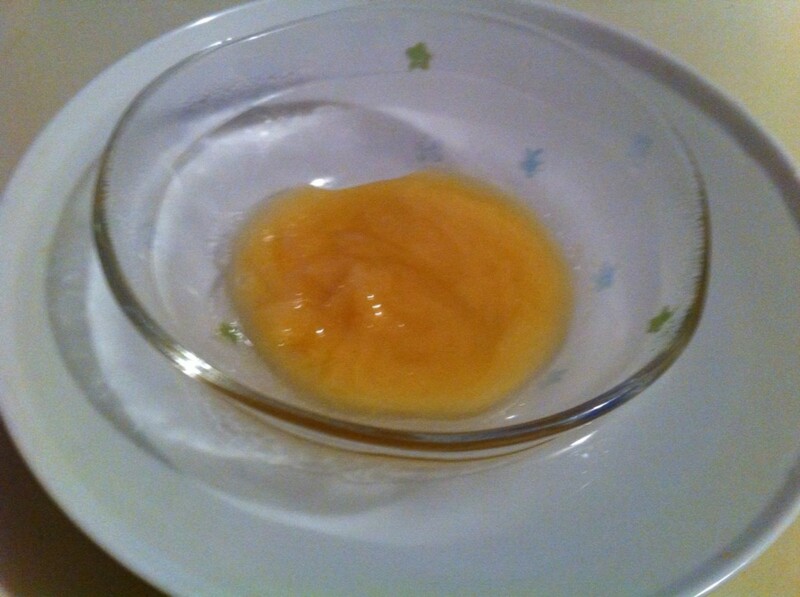 Actually, in some places, it is common to see crystallized honey sold in grocery stores (it is often referred to as "creamed honey" in this state). If you would like to crystalize your own honey, just place it in the refrigerator. amount I want from the honey bottle when it is all crystallized before I can follow your method???? Great ideas Simone. This is quite interesting to know about crystallized honey methods. Voted up! Actually I found it interesting that most sites that seem to be people who produce honey say that you should never microwave honey. When you do it becomes a simple gold sweetener without all of the properties that make honey beneficial. This is because of the way microwaves heat food. Funny I saw this hub. Today I was looking at my crystallized honey thinking I was going to have to do something. I need it for my sweet rolls in the morning. Now I can follow the way you did it. Voted up. Gotta be careful. Heating honey for too long can start a fire with black soot. I did it, accidentally, years ago. Yikes! Scary! Whoah- bursting honey containers! Sounds scary. Yeah, this method is pretty solid, and great for smaller batches. I highly recommend it! Great advice - I love the time-lapse photography of your sugar decrystallizing! I admit I do the 5-second bursts in the microwave method. If you don't watch it, the container will swell up and ooze out honey, or, even worse, burst. I'll probably do what you suggested next time. Wow, I can't believe the honey actually got mold on it, homesteadbound! Perhaps an external contaminant got into the jar? I can't imagine how microwaving alone might have caused that. Yikes! And oooh! I know one family who manages a bee hive in Alameda, too. I wonder if we're thinking of the same folks! And this is fascinating... crystallized honey on veggies? I've never seen ANY honey on vegetables before... intriguing! Yep- no need to refrigerate that stuff, Glenn Stok! And hahaa, I'll get up at 6:30 and bake bread so YOU DON'T HAVE TO! Boy, I love doing it. Oh my gosh, Les Trois Chenes... just when I think you can't get even cooler, you whip out something like this... you really raise your own bees? So neat. Microwaving the amount needed is safe fast and easy about 10 seconds at high and voila. We keep our own bees and we do nothing to it. It starts life liquid then, as winter comes and temperatures drop it crystallizes naturally. We now have nice, solid sugary honey. If you re-heat you loose some of the goodness. On the other hand, if you have standard honey and really want it runny then heating it very gently is the way to go. 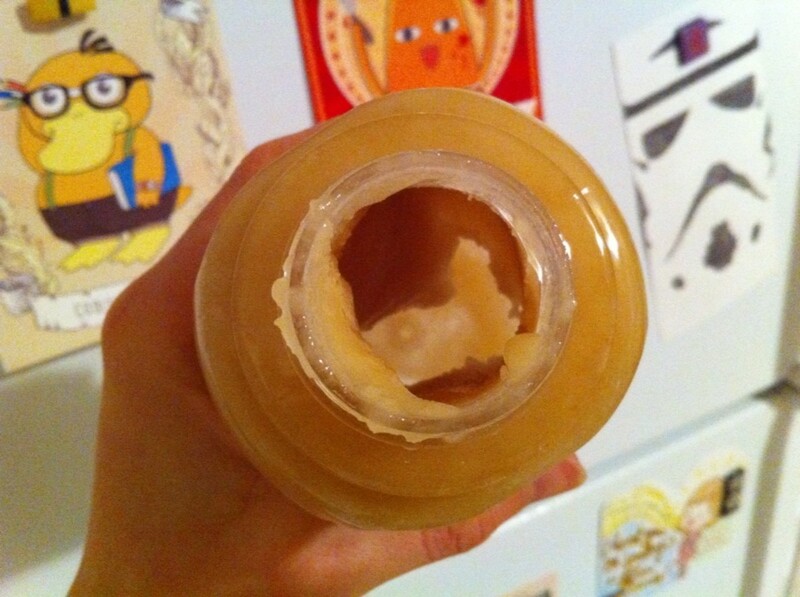 I always keep my honey in the refrigerator to keep it from going bad, and of course it crystalizes. So that made me interested in reading your Hub. And I learned a few things from you that I never knew. First of all, I know, now, that I don't need to worry about the honey going bad. And you also taught me that honey that's treated so it doesn't crystallize is missing important enzymes. I never knew that. Now I'm going to look for that creamed honey next time I go shopping. But I hope you don't expect me to get up at 6:30 AM on a Saturday to bake bread. Good advice for people who love honey. I get honey from a local 'grower' who has his bees right in back of his house in Alameda and he totally supports this method. 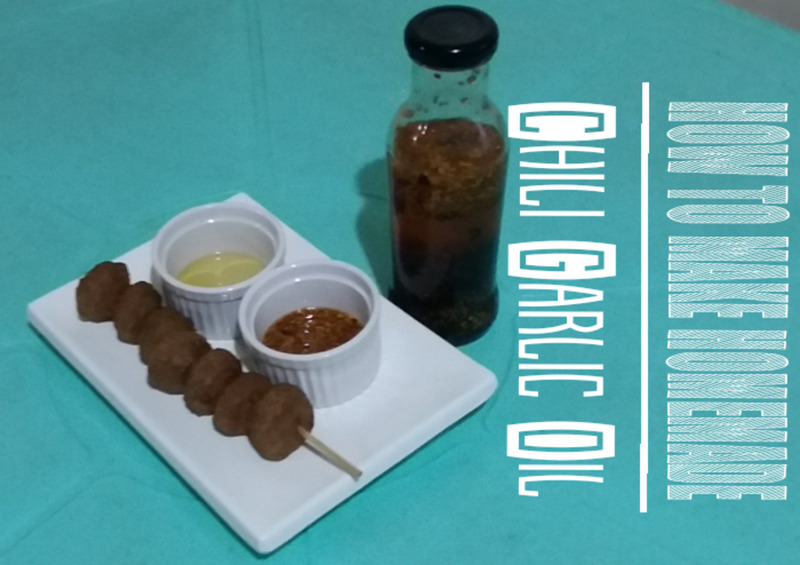 Myself, I like the convenience of pouring the liquidy honey on cereal, oatmeal etc but really like crystallized honey to spread on vegetables - like Cabbage, squash, onions when I grill them. Seriously, spread cabbage with crystallized honey, wrap it in foil and grill it - amazing. Apologies for the over the top response here! An interesting thing happened to my last jar of honey. It grew mold on it, something that I would have not thought possible. But after talking to my husband, when it had crystallized, he had heated it in the microwave. I think he must have gotten it too hot and killed everything beneficial about it - including its bacteria fighting abilities. So yes, you do need to be careful when heating - too hot is not good!